VINIFICATION: Fermentation and partial malolactical fermentation in steel tanks. "Decanter World Wine Awards" has rated the wine "St. Michael-Eppan San Michele Appiano Pinot Grigio Sudtirol - Alto Adige, Trentino-Alto Adige, Italy" the vintage 2016 on 01.01.2017 with 90 of 100 points. "Wine Spectator" has rated the wine "St. Michael-Eppan San Michele Appiano Pinot Grigio Sudtirol - Alto Adige, Trentino-Alto Adige, Italy" the vintage 2015 on 31.10.2016 with 88 of 100 points. "Vinous Antonio Galloni" has rated the wine "St. Michael-Eppan San Michele Appiano Pinot Grigio Sudtirol - Alto Adige, Trentino-Alto Adige, Italy" the vintage 2014 on 01.05.2016 with 85 of 100 points. "Wine Enthusiast" has rated the wine "St. Michael-Eppan San Michele Appiano Pinot Grigio Sudtirol - Alto Adige, Trentino-Alto Adige, Italy" the vintage 2014 on 04.01.2016 with 86 of 100 points. "Wine Enthusiast" has rated the wine "St. Michael-Eppan San Michele Appiano Pinot Grigio Sudtirol - Alto Adige, Trentino-Alto Adige, Italy" the vintage 2012 on 06.01.2014 with 89 of 100 points. "Wine Enthusiast" has rated the wine "St. Michael-Eppan San Michele Appiano Pinot Grigio Sudtirol - Alto Adige, Trentino-Alto Adige, Italy" the vintage 2011 on 08.01.2012 with 89 of 100 points. "Wine Enthusiast" has rated the wine "St. Michael-Eppan San Michele Appiano Pinot Grigio Sudtirol - Alto Adige, Trentino-Alto Adige, Italy" the vintage 2010 on 03.01.2012 with 87 of 100 points. "Wine Spectator" has rated the wine "St. Michael-Eppan San Michele Appiano Pinot Grigio Sudtirol - Alto Adige, Trentino-Alto Adige, Italy" the vintage 2010 on 31.08.2011 with 87 of 100 points. "Vinous Antonio Galloni" has rated the wine "St. Michael-Eppan San Michele Appiano Pinot Grigio Sudtirol - Alto Adige, Trentino-Alto Adige, Italy" the vintage 2009 on 01.08.2010 with 88 of 100 points. 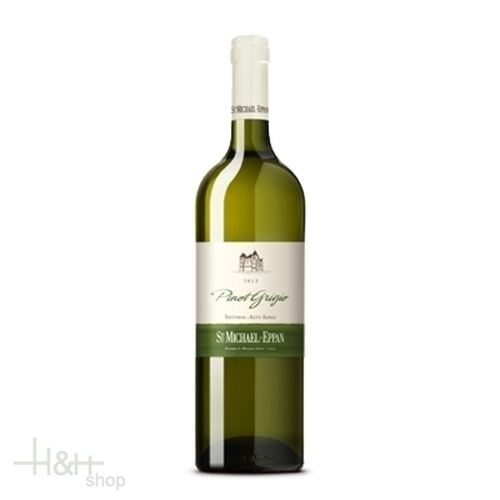 "Wine Enthusiast" has rated the wine "St. Michael-Eppan San Michele Appiano Pinot Grigio Sudtirol - Alto Adige, Trentino-Alto Adige, Italy" the vintage 2009 on 11.01.2010 with 85 of 100 points. "Vinous Antonio Galloni" has rated the wine "St. Michael-Eppan San Michele Appiano Pinot Grigio Sudtirol - Alto Adige, Trentino-Alto Adige, Italy" the vintage 2008 on 01.10.2009 with 88 of 100 points. "Wine Spectator" has rated the wine "St. Michael-Eppan San Michele Appiano Pinot Grigio Sudtirol - Alto Adige, Trentino-Alto Adige, Italy" the vintage 2008 on 31.08.2009 with 90 of 100 points. "Wine Spectator" has rated the wine "St. Michael-Eppan San Michele Appiano Pinot Grigio Sudtirol - Alto Adige, Trentino-Alto Adige, Italy" the vintage 2007 on 31.08.2008 with 87 of 100 points. "Wine Spectator" has rated the wine "St. Michael-Eppan San Michele Appiano Pinot Grigio Sudtirol - Alto Adige, Trentino-Alto Adige, Italy" the vintage 2006 on 15.11.2007 with 87 of 100 points. "Wine Spectator" has rated the wine "St. Michael-Eppan San Michele Appiano Pinot Grigio Sudtirol - Alto Adige, Trentino-Alto Adige, Italy" the vintage 2005 on 15.11.2006 with 87 of 100 points. "Wine Enthusiast" has rated the wine "St. Michael-Eppan San Michele Appiano Pinot Grigio Sudtirol - Alto Adige, Trentino-Alto Adige, Italy" the vintage 2004 on 02.01.2006 with 85 of 100 points. "Wine Spectator" has rated the wine "St. Michael-Eppan San Michele Appiano Pinot Grigio Sudtirol - Alto Adige, Trentino-Alto Adige, Italy" the vintage 2003 on 31.03.2005 with 87 of 100 points. "Wine Enthusiast" has rated the wine "St. Michael-Eppan San Michele Appiano Pinot Grigio Sudtirol - Alto Adige, Trentino-Alto Adige, Italy" the vintage 1998 on 08.01.1999 with 86 of 100 points.